Well Spring is fast approaching and we are leaving the bitter days behind. Many of us may have stepped into our gardens for the first time since the summer to either catch up with gardening or just to see that everything is still alive and well. The thought of trying to get the garden ready for summer can be quite a daunting task. Take one season at a time, and start with a little spring colour.. There is a feeling of hope when you see things blooming and the colour beneath last autumn’s leaves; the motivation that is needed to keep going and knowing that there is light at the end of the tunnel. It will all be worth it, when your well designed garden is shown off to your friends and family. A lot of people think that now is a pretty dormant time in the garden, with very little going on. You’ve seen the odd daffodil on a roundabout on your travels but can’t imagine much more could be in flower. Well you couldn’t be more wrong! A well designed garden will show colour all year round. Sometimes it’s not just through flowers. It could be the foliage or stems. Over the last few weeks a few plants have started to kick into action and you wouldn’t believe how many things are in flower in my garden. 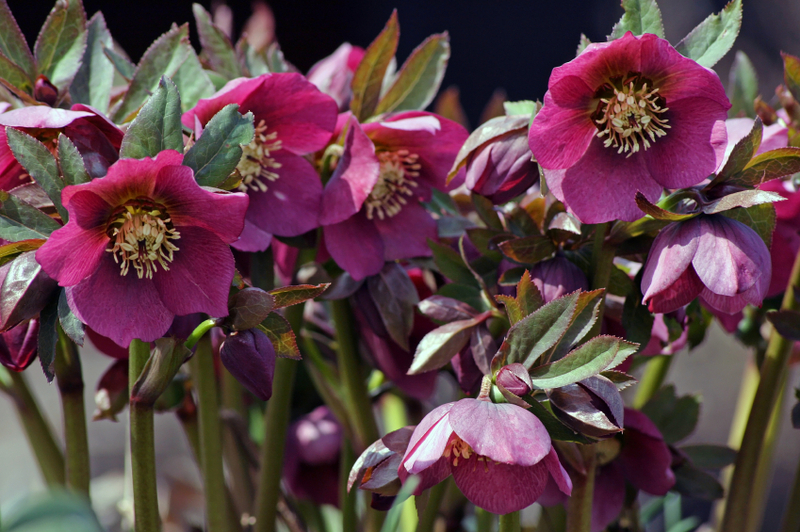 Hellebores – A great starter. Usually comes out late February/ early March. To show them off to their best cut the old leaves off and leave the flower stems to work their magic. Coming in pinks, whites, purples and mixtures these will brighten up any shady corner within the garden. 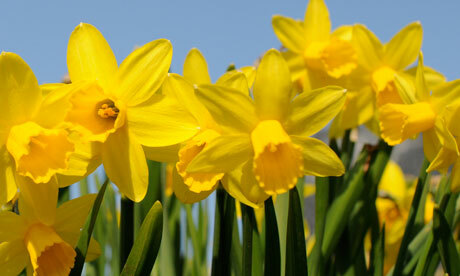 Daffodils – Bulbs are a great way to get early colour into your garden. Narcissus likes to stand out from the crowd and there are so many to choose from. If you’re not a fan of yellow then there are white ones. If you don’tlike the tall ordinary ones there are small delicate ones. There is a daffodil out there for everyone. 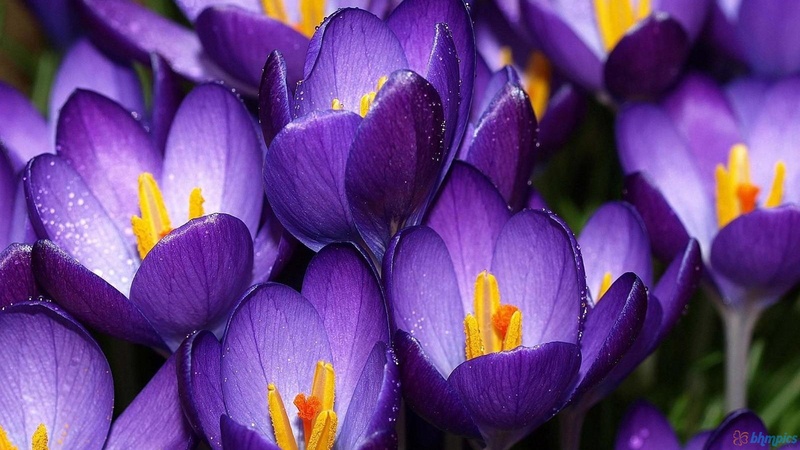 Crocus – Small and dainty these are great in the edge of a boarder or in the lawn. Coming in Bright yellows, purples and whites. These will definitely add a sparkle to your garden. 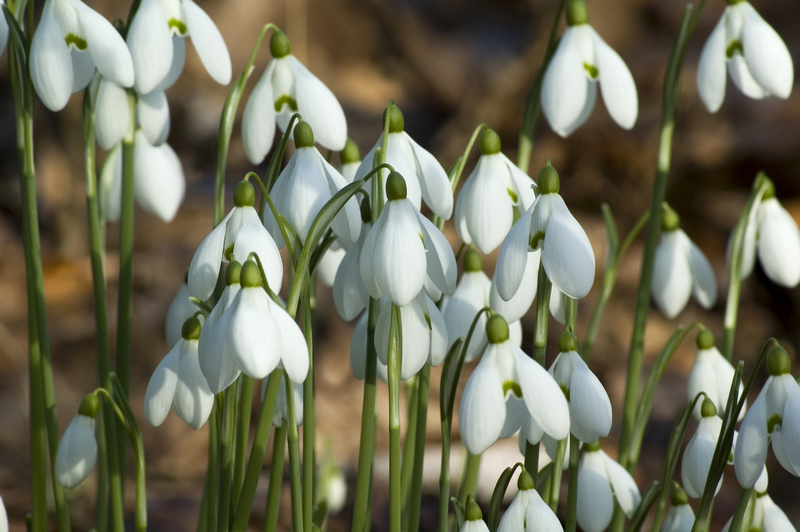 Snowdrops –These mighty little bulbs are great like the Crocus. They can be planted at the front of boarders or in the lawn. Planting bulbs within the lawn are a great way to warn you to get your lawn mower serviced and ready for the first cut. 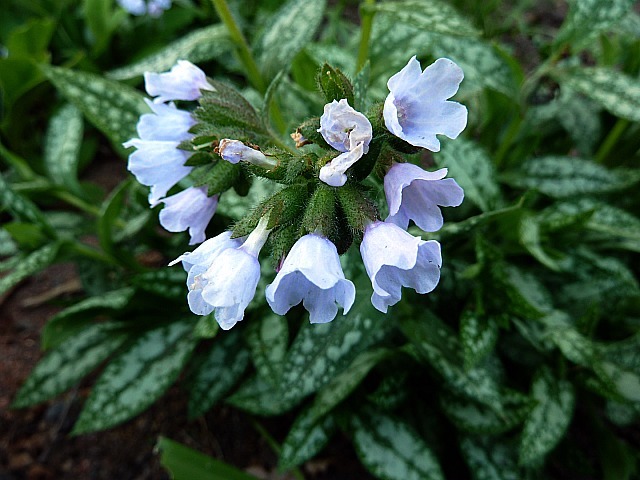 Pulmonaria – Working best in partial shade, this perennial looks good all year round, with leaves that are bright and sometimes spotted giving a good foundation throughout, but it has its magical moment when flowering. Coming in pinks, purples and whites it’s a sure way to brighten up a woodland floor. 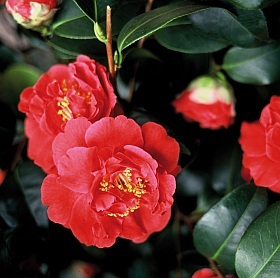 Camellia – A hardy shrub that looks spectacular when flowering. With so many varieties it’s hard to know which one to choose. But this plant can liven up any garden. An early flowerer to get you in the mood for spring. Being evergreen its great all year round. Why not try using it as hedging? 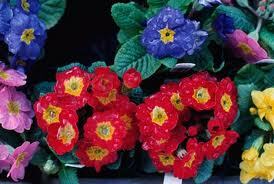 Primula- Starting to flower early March these small perennials stand out at the front of boarders or in pots. Keep deadheading them and they will try to keep going. With some varieties flowering later these are a nice addition to any garden. 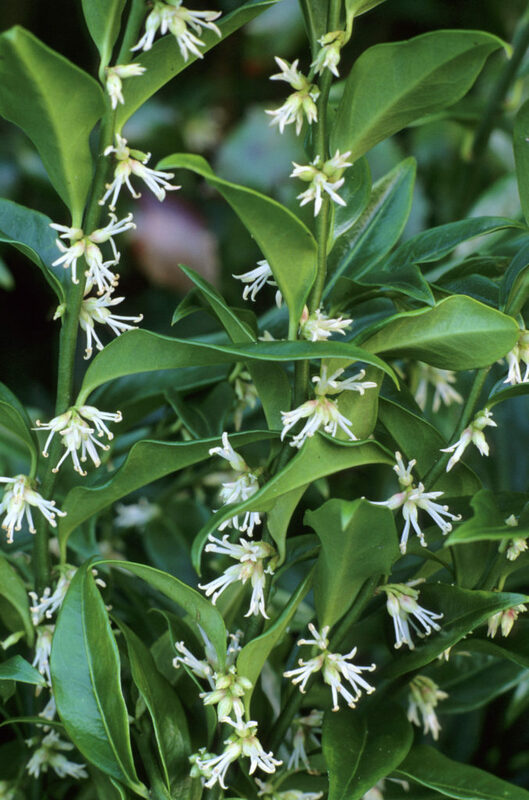 Sarcoccoca – Just starting to go over however the scent is still prominent. This does not mean that is the end for this shrub, once the flowering is done the blue/black berries appear making it a lovely all year round plant. Try and place it near a window or door. So if there is an off chance that you might open or step outside you will be hit with the fragrance. 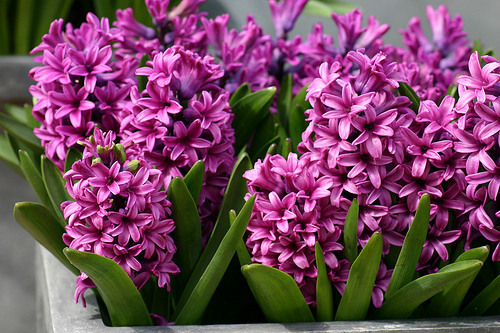 Hyacinths – Coming in to flower now the Hyacinth is a lovely addition to a cottage garden. Who would have thought that such a small plant could bring such a strong scent? Although sometimes overpowering this bulb will work great at the front of any sunny boarder. Iris reniculata – Small but mighty. 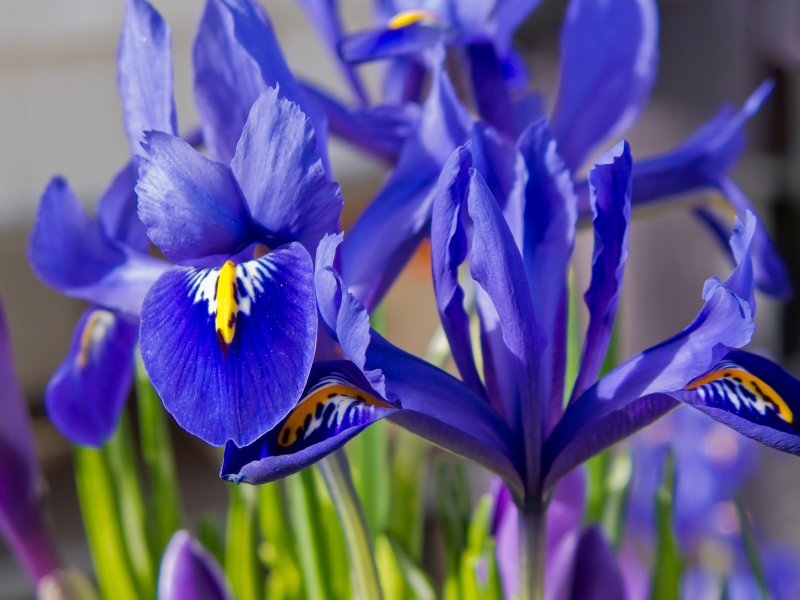 These Iris bulbs are a lovely way to introduce colour into your garden. Working well at the front of a boarder they are sure to brighten up your day. 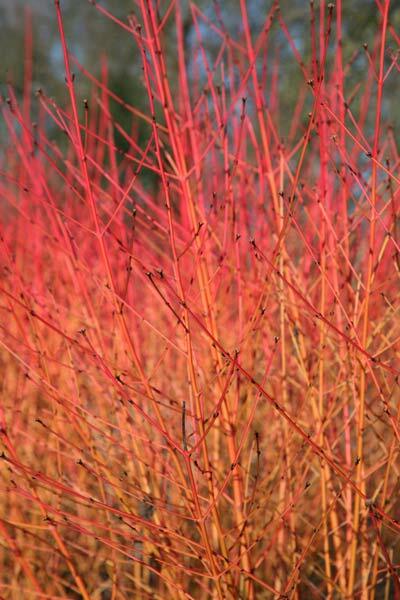 Cornus – Dogwood has amazing bright stems that can really stand out. Whether it is red, orange or green these are a great way to bring a wintery garden to life. Heucheras – Who couldn’t love a Heuchera? With so many different varieties there use is endless. 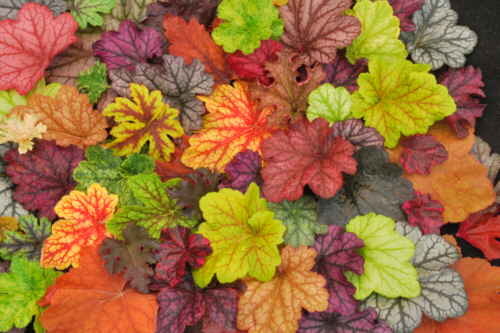 Bright reds to pop out, bright purples to break up some green, oranges, acid greens, silvers and so many more there is so many different ways that you can use the almighty Heuchera. If you need help trying to introduce colour into your garden this time of year please feel free to contact us.